Arsenal were accused of lacking the “cojones” to defend a lead at Vicarage Road by Troy Deeney after Watford turned a 1-0 deficit into a 2-1 win. 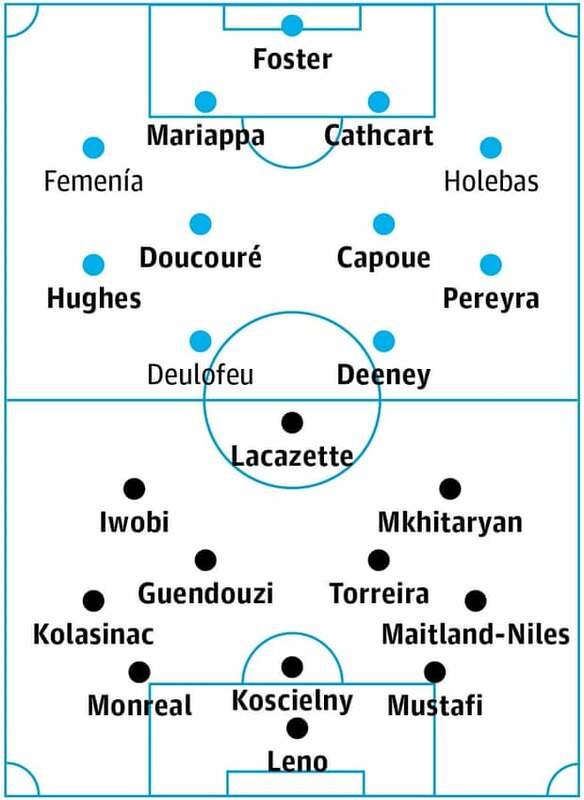 Arsenal’s away form is still awful but the addition of Lucas Torreira, who looked fresh as a daisy against Napoli, and Matteó Guendouzi to midfield should add the bite that Deeney found lacking. Javi Gracia will be unconcerned though as his side are much improved since last season. The FA Cup final will be on his mind but what better way to warm up than leading from the front this time and beating Arsenal again.